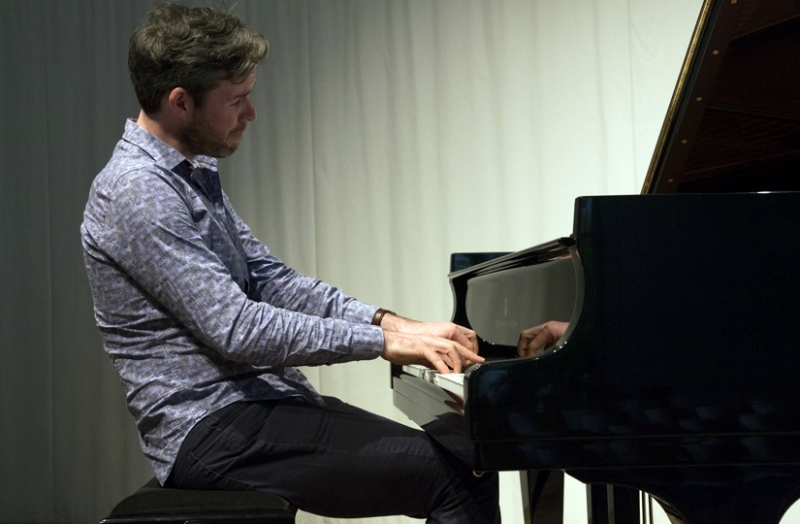 A multi-award winning pianist, Gwilym Simcock is unquestionably one of the finest musicians of his generation. Fluent and highly inventive, his powerful piano playing has been heard with the likes of Dave Holland, Kenny Wheeler, Lee Konitz, Bill Bruford’s Earthworks, Bob Mintzer, Nigel Kennedy and Bobby McFerrin and it’s a testament to his remarkable abilities that he has won the Perrier, BBC Jazz and British Jazz Rising Star Awards as well as being the first jazz musician to be a Radio 3 “New Generation Artist”. He won both "Best Band" and “Jazz Musician of the Year” at the Parliamentary Jazz Awards, was nominated for two more BBC Jazz Awards and his album “Good Days at Schloss Elmau” was the 2011 album of the year at the ‘Barclaycard Mercury Prize’ awards. Currently touring with iconic US guitarist Pat Metheny, Chick Corea described him as “a creative genius”, and he is rightly considered to be one of the most exciting musicians to emerge from the UK in recent years. Despite his busy schedule and international standing Gwilym still finds time to perform here at the 606 whenever he can and tonight we are continuing the tradition of him celebrating his birthday with us here at the Club (which first started many years ago when he was just 21!). So it is with great pleasure that we welcome him back with his band featuring John Parricelli-guitar, Laurence Cottle-bass and Martin France-drums.